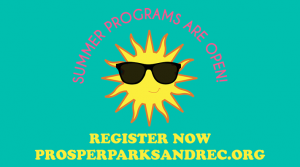 Sign up the kids for summer camps and classes (from sports to STEM!) right at home in Prosper! Check out all the options at prosperparksandrec.org. Next Next post: Prosper DownTown Live!